Stephen King’s books are some of the most awarded and most adapted stories out there. Fairly recently, another one of his novels has been turned into a TV show. In the following post I therefore want to talk about the new and existing TV shows that are based on King’s books. 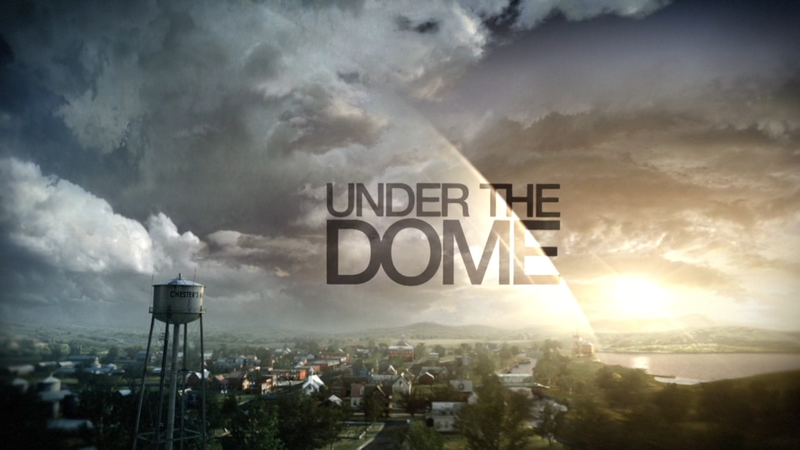 Under the Dome is based on the 2009 book with the same title. Seen as I know how the story ends and the show being pretty accurate to the book, I am fascinated but not too excited about watching it. This doesn’t diminish the show in any way though, because it has had some of the highest viewer numbers (about 13.5 million viewers) for it’s starting episode that CBS has seen for a summer premiere since the start of Big Brother in 2000. If you want to know what the story is about, the title pretty much says it all. A small town is trapped under a dome, being completely shut off from the rest of the world. The whole situation gets even more precarious, when not even the government knows how the dome came into existence at the first place. Fans of the book as well as people who are not accustomed to the story will probably enjoy the show alike. As actors and actresses you can expect: Mike Vogel, Rachelle Lefevre, Natalie Martinez, Britt Robertson, Alexander Koch, Colin Ford, Dean Norris, Beth Broderick and many more. 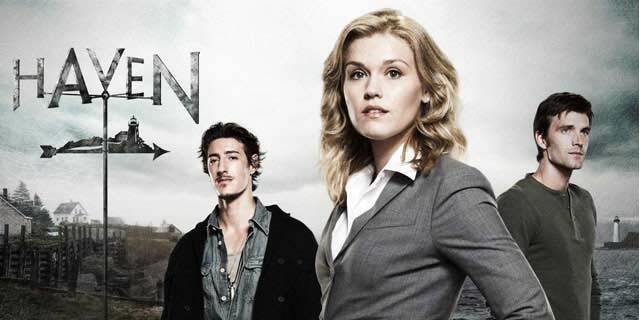 Haven is a syfy series that will be starting it’s 4th season this fall. It is based on The Colorado Kid, which really doesn’t have much to do with the show. Neither the characters nor the storyline is alike in any way, but the book as well as the TV show are great in it’s own way. I haven’t missed an episode so far and don’t plan on missing one in the future. Also, I have read the book and think it’s great for a nice summer read. While the book revolves around a journalist, who comes to work in a small town and is entrusted with the inexplicable murder case that took place in the town a few years in the past by the locals; the TV show is about a FBI agent who comes to the town of Haven to help with a case and ends up staying there. It turns out that some people do have certain powers, called “the Troubles” and that she is part of their story more than she thinks. The main cast as well as some guest stars include: Emily Rose, Lucas Bryant, Eric Balfour, Nicholas Campbell, Richard Donat, John Dunsworth, Bree Williamson, Tahmoh Penikett and others. Do you personally prefer the books or the TV shows? Have you seen them, or do you generally refrain from adaptations? I actually like Under the Dome. It’s taking the story in a new direction, which I think works for the kind of book Under the Dome is. I personally had my doubts on the book being made into a TV series, but the way they’re doing it (with King’s blessing, of course), may make UTD something to look forward to every summer along with Teen Wolf. I definitely wouldn’t call UTD a bad show, but I didn’t like it as much as I hoped I would. There are some characters I love and that are really interesting, but I was always bored in the first few episodes. Yeah, I didn’t have too high an opinion of the first episode myself. But after that things really started to pick up for me. I thought the first one was alright, the second and third was good, but I didn’t like the fourth. I kind of stopped watching it after that. I’m actually a little bit behind. After I finish a chapter of my novel, I’m definitely going to do some catching up.